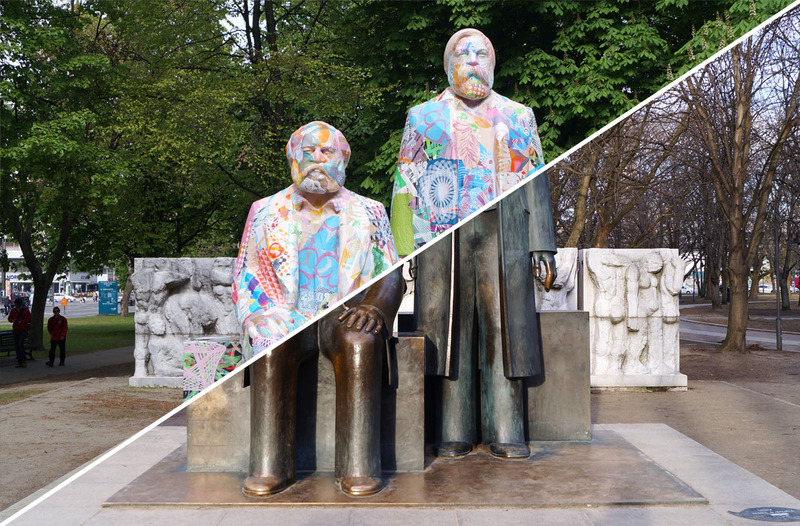 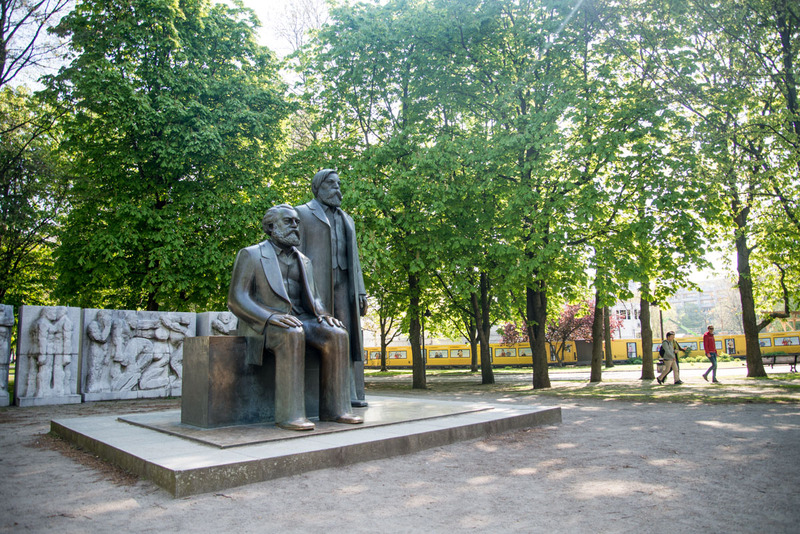 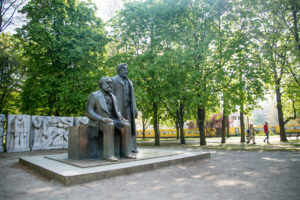 The Marx-Engels monument serves as a remnant of another epoch, which although is still visible after the political upheaval of the reunification and even a popular tourist attraction but whose future is uncertain in the wake of the ongoing construction works in this area. 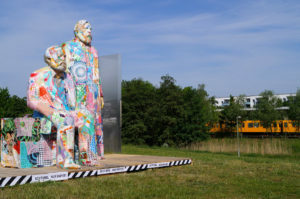 The painted and silkscreen printed paper mould temporarily provided the figures with a new visual appearance being used as a public communication platform gaining center stage again. Various & Gould would particularly like to thank Britt Janina Heinker for supporting the project! 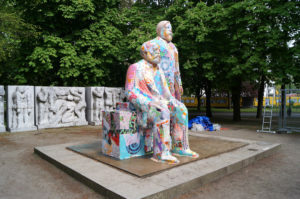 Also many thanks to Adam Page, Karin Kasböck, Amrita Ronniger, Sonja Rentsch, Bob, Garvin Nolte, Axel Krumrey, Annika Hirsekorn, Jan Kage, Boris Niehaus, Frederic Leitzke, Chérie, PC, Dörte, Jens, Aldo Gugolz, Elisabeth von Ketelhodt, Viviane & Kurt Ratter, Polina Soloveichik, Tore Rinkveld, Daniel Sprenger, Malte Klein-Luyten, Tanja Pabelick, Stefan Rusconi und Tavar Zawacki! 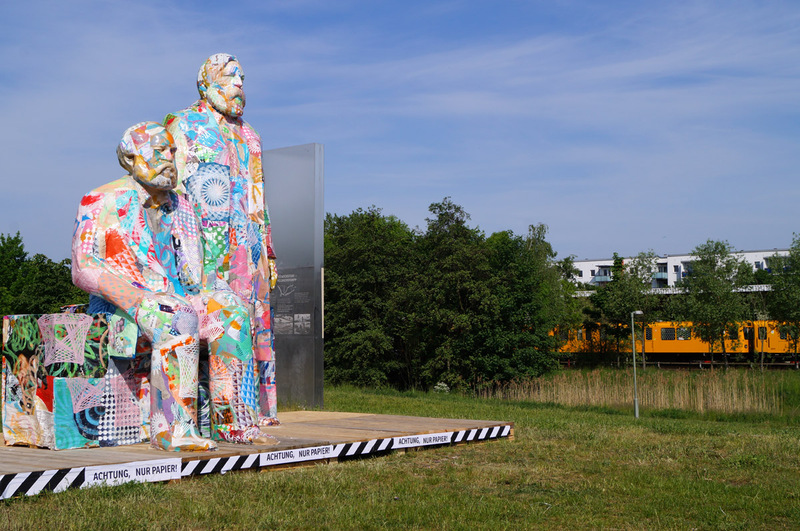 And thanks a lot to Francois Domain, Claudia and all the other Spring Academy students from Berlin Art Institute!